K's Kraftology: Love you latte! 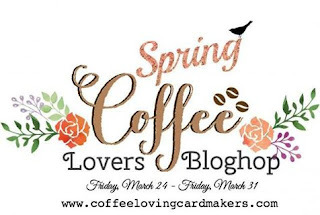 Fabulous for the Spring Coffee Lovers Blog Hop. Thanks for sharing. awwwww...the plaid and purple are so sweet! I love this sweet image! ANd your card is so pretty; love the plaid, too. Love how you decorated his cup!!! Very cute!!! I love your card and I wish I could have gotten the digi but the code I was given apparently is not good as it said it was expired. I was sure it would still be good. You sure did a wonderful card with it. Hi Verna! It is still free. I just tried it. I suggest going to the Craftin Desert Divas blog post for the Coffee Lovers Blog hop. Click the link from there and enter the code. All caps and no spaces. It was also the only item in my cart. I hope that helps! What a sweet and hugable card. So pretty and adorable! Love your coloring and shading... very sweet! Adorable card. 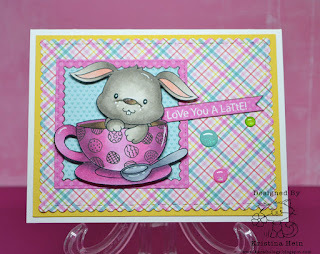 Love the background and perfect for spring and Easter. Very sweet. I like your coloring and the plaid paper. Oh this is too sweet!